Arneis, which means “rascal” in the Piemontese dialect, began to acquire its cult status from mid-1980s as chic match for seafood in fashionable restaurant along the Ligurian coast. 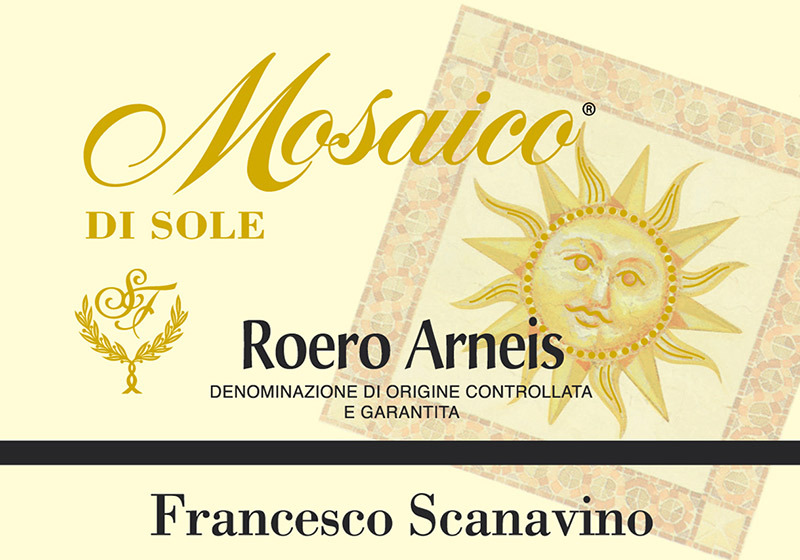 Mosaico di Sole (Sun Mosaic) is 100% made of the grape from the very rare vine Arneis which grows to the left of the River Tavaro. Here, the sandy soil of the hills of the Roero gives a delicious dry wine, lively (like a rascal), with light pear and apricot flavours, while the limestone and clay provide a fairly full body wine with structure and substance. This wine is widely appreciated for its elegance, which starts off from its straw-yellow colour, continues through the nose with flowers and fresh fruit aromas, and is brought to a conclusion on the palate, round and appealing with a delicately bitterish aftertaste that cleans the mouth as an invitation to have another glass. That’s exactly how a good wine should feel like! 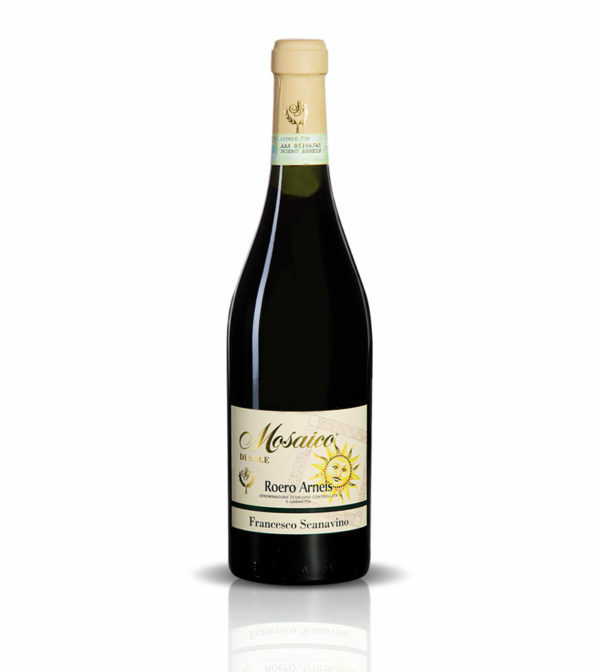 This elegant wine has a rounded and complex taste reminiscent of the prestigious wines from France’s Loire Valley but with its own very particular character..